Remember When You Made Less and Spent Less? ﻿﻿Remember when you made less and you spent less? Just a few adjustments to your habits can reduce the amount you spend. But even if you can cut down your spending, how can you translate this into more time off? Read on to learn how to square it with your boss. ﻿Remember when you made less and you spent less? Years ago, I was in my 30s and I had a job where my goal was to start making $40,000 a year. At the time, that felt like a huge amount of money to me—maybe it sounds like a lot to you now, or maybe it doesn’t—but at the time it was like a magic number to me. Up to this point, I’d been trying to save money, moving in and out of my parents’ house, and maxing out my 401 by squandering it in stupid ways, all because of impatience. I go into more detail about this time in another episode. Eventually I reached $40,000, and I really felt like I’d made it. Bear in mind, I didn’t have kids at this time, or even a girlfriend, so I only had to support myself. But little by little, my expenses started to creep up. Now that I had achieved my goal of earning $40,000 a year, I could treat myself a bit. This is a familiar story, I’m sure, and soon enough I found myself dreaming of earning $50,000 a year—then I’d be all set. And so the cycle continued. I worked hard, and my salary went up to $50,000. Of course, my expenses started to creep up and up. It was at this point that I realised that if I could make $50,000 in a 5-day week, couldn’t I make $40,000 in a 4-day week? After all, I knew I could live off $40,000 quite comfortably, if I could just keep my expenses down a little. 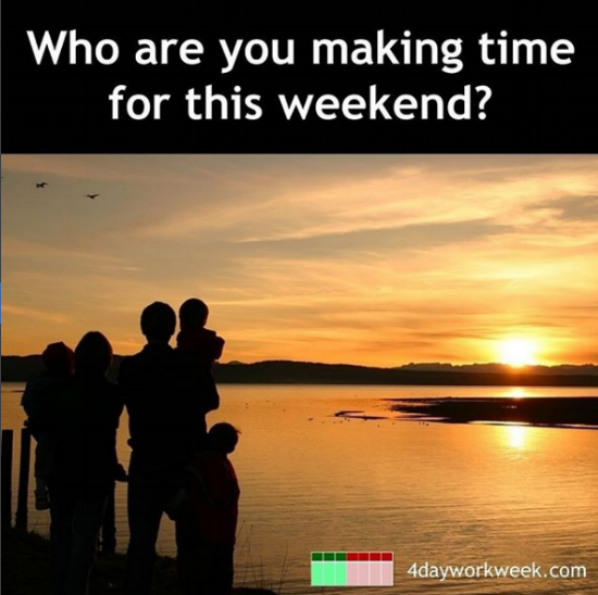 I wanted that 4-day work week, and I began to obsess about having more time off. Couldn’t I say to my bosses that I only needed to work 4 days a week for $40,000, rather than 5 days for $50,000? Of course, there are many corporations, both large and small, where they will refuse you point blank, because their policy states that you need to be there during regular working hours or whatever other reason. But there are many other companies that will agree to this deal, as long as you can show that it will benefit the organization too. Your leverage at this point is the cost of employee turnover. Losing a good employee and having to hire a new one is going to cost anywhere from $5,000 to $10,000 minimum, going up to an average of $15,000 to $20,000, and sometimes even as much as $30,000 or more, depending on the employee’s role and salary. This cost factors in the time it takes to advertise the role, interview, hire people, and train them. The person who’s training the new employees isn’t being as productive with their own duties, so that’s more lost revenue. And of course, some new hires won’t work out, so the process can take even longer and cost even more. Obviously, most employers want to avoid spending this additional money. If you’re a competent employee, and you’re on top of all of your work, it could be as simple as asking for a single Friday off a month. If they’re still uncertain, you could even just ask to try it for a trial period of 3 months, offering to take the Fridays out of your vacation allowance during this time. Then, if you can keep your productivity up—or who knows, even increase it—in the next 3-month cycle, you could ask to up the time off to 2 Fridays a month. Your boss isn’t losing anything, as you’re still getting all your work done and you’re still taking the days out of your holiday time. Finally, in the third 3-month period, you ask to up it to 3 Fridays off a month. You might have run out of personal days by then, but you will be able to demonstrate to your employer that over the past 6 or so months that you’ve been able to increase productivity while taking certain Fridays off. You’re getting the same or better results in less time, so the question is, will they still pay you the same if you start to only work 4 days a week? At this point, don’t get down on your knees and start begging your employer for a 4-day work week. Instead, frame your request in terms of results and productivity. 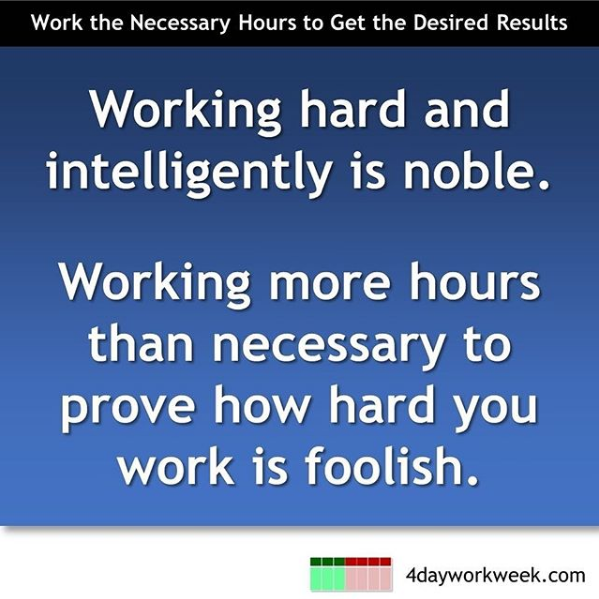 Then you simply ask, “Can I work that 4-day work week, and still get paid the same, as long as I get the same results?" It comes down to asking to be compensated on a results basis rather than a hourly basis. Any smart employer should welcome this suggestion—why should they be paying people just to be there? I’m an employer myself, and if you can do 3 times the work that someone else can do in the same amount of time, I'll gladly pay you 3 times as much. Any smart employer knows that this will make the good employee more likely to stay, avoiding those high employee turnover costs. What if you could simply keep your expenses low, and then get your income up to the point where you’re making enough to live in 4 days a week? Of course, once you’re reached this stage, you can still allow for growth, and seek a larger income along with larger expenditure, but this comes afterwards. First you have to make the jump. If your expenses and your lifestyle match each other when you’re working 5 days a week, you’ll always be in the same position, as you can’t afford to give up that 1 day. But if you can bring your expenses down below the level of your income, you can begin striving towards a 4-day work week. The best analogy is that it’s like the difference between being on time paying your credit cards or being a day late. When you're on time paying your credit cards, you don't pay the interest. It's almost like you're gaming the system, because usually you'll have some sort of rewards program, and you earn a 1% or 2% cashback or whatever it might be, without paying for it. On the other hand, if you pay even just one day late, now you get whacked with a 20%, 25%, 30% credit card interest fee, which adds up fast. Think about it. If every time you pay your credit card, you pay it on the due date, then there’s no penalty, and you’re benefiting. You pay it one day late every single time, and you’re losing money. The same concept applies to the work week. If your expenditure is always the same as your income, you don’t have any leeway, like having to pay interest on your credit card bills. But if you spend less than you earn, even a little less, it’s like you’re paying your credit card bill on time. You're working the system and you're having it work for you. I hope you found this post helpful. 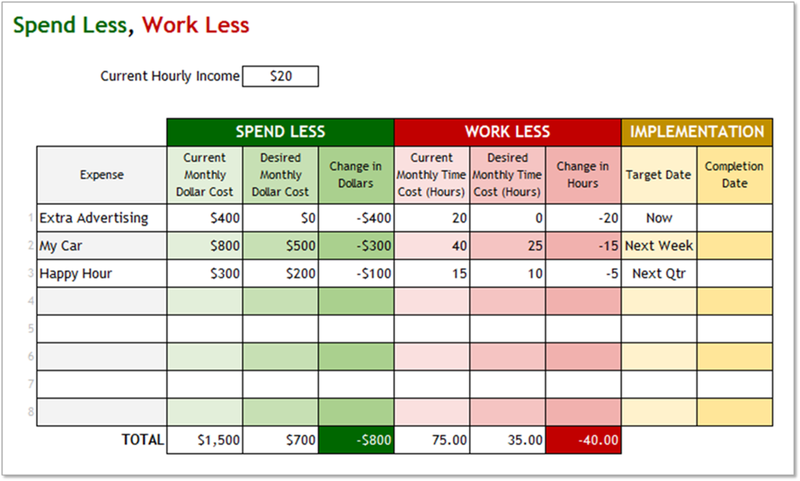 If you got to 4DayTools.com, or alternatively 4DayWorkWeek.com/tools, you'll find a sheet that will help you work through this same question: Do you remember when you made less and lived off of less? The worksheet can help you to plan out how you can start creating your 4-day work week, or even just start working fewer hours by getting your expenses in check. Whether you're an employee or an entrepreneur, these tools will help you to start creating a situation where you don't need to work as many hours to enjoy the lifestyle you love.